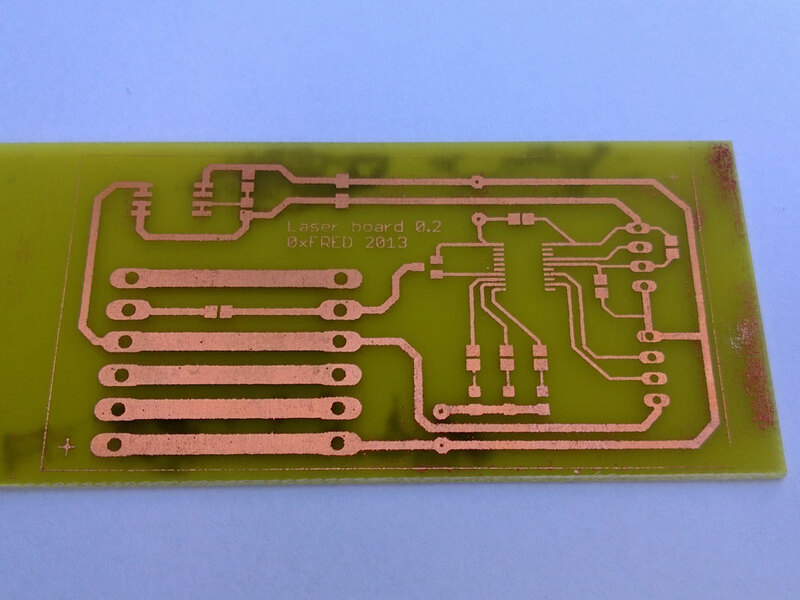 Well, after experimenting with CNC milled PCBs I decided to give etched boards a ago. As I have a “UV exposure box” (i.e. 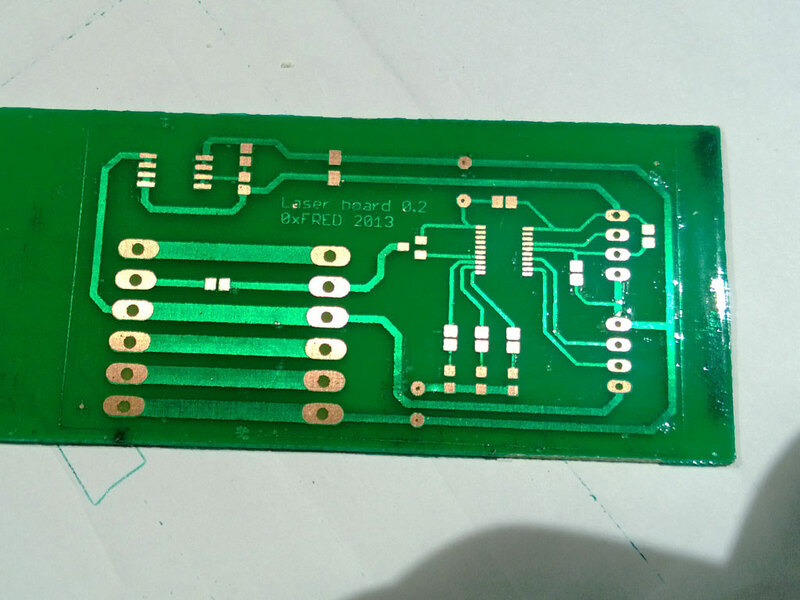 a cheap eBay thing for drying dragons’ fingernails) for the soldermask, I decided to try photoresist board. Odd then, that I found this was far too stong for the PCBs. Even a minute would appear to give a good exposure when I started developing the, but it turned out to be so overexposed I stripped all the resist off the boards. An expensive way to end up with plain copper boards. Etching the boards was also not as simple as I thought. Sodium Persulphate seemed useless. Using Freeic Chloride and a sponge seemed too rough for the delicate photoresist. Sloshing Ferric Chloride didn’t do much until I heated it up – by putting the containing (including PCB) in the microwave. Anyway, enough of my woes and failed attempts. When I eventuallly got a combination that worked this is what I came up with. This is the board post-etch. It’s not quite as good as I hoped but definitely good enough for the MPS430 microcontroller (TSSOP) and the 0805 LEDs, resistors and capactiors. And this is the end result after applying the Dynamask 500 solder mask that I’ve used before.